Click here to read the final report published in Water Resources Research (American Geophysical Union). 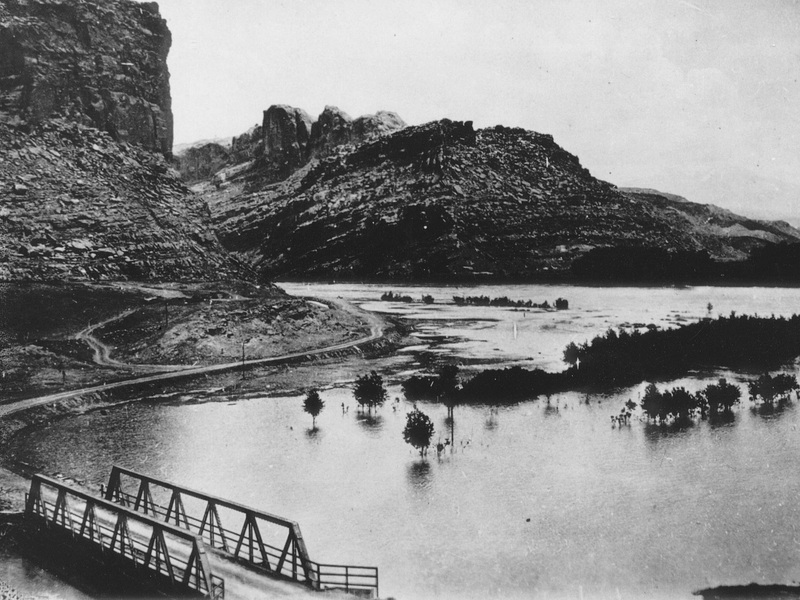 The purpose was to provide science to the Department of Energy to ensure that Moab’s radioactive waste pile would be removed from the floodplain of the Colorado River, which is indeed happening. So far, 41% of the pile has been removed and taken by railroad to a burial site 30 miles north of town at a place called Crescent Junction adjacent to the I-70 corridor. 1) Click here - To read the report of 2006 that fulfilled the requirements of the grant that supported the preliminary research for this paleoflood research project. 12) Click here to read Dam Failure Inundation Study by the Bureau of Reclamation (1998).